The real estate bubble caused a great disruption in the market for homes in the United States. Home prices were driven up and then collapsed, taking with them much of the economy and many jobs. The collapse drove thousands of homes into foreclosure and caused many borrowers to lose their equity and, too many cases, their homes. If you are in this situation, read more to find out how bankruptcy can help you stop foreclosure. Bankruptcy can be an effective tool to stop a foreclosure filing, and when borrowers file either a Chapter 7 or a Chapter 13, it immediately stops all collection activity, including foreclosure. A recent study of borrowers whose homes were in foreclosure found those who filed a bankruptcy were 70 percent less likely to have the foreclosure result in their losing their home. Chapter 13 was five times more effective at preventing foreclosure. This is probably due to the borrower's ability to pay mortgage arrears in their Chapter 13 plan. 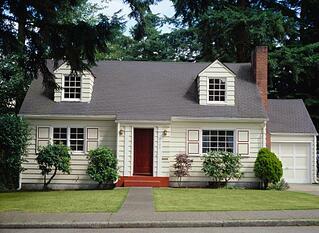 Arrears can trigger a default and cause a lender to bring a foreclosure action. A bankruptcy stops that proceeding and a Chapter 13 can provide up to five years for a borrower to make up arrearage payments. For some borrowers, a Chapter 7 may also be effective, but for borrowers with a mortgage, there are a narrower set of circumstances where a Chapter 7 provides the best option for a borrower. A bankruptcy attorney can review your situation and help you determine which chapter filing is best suited for your circumstance. The study notes that what is most surprising is that more people don't file for bankruptcy to stop a foreclosure. While it points out there is still some social stigma associated with bankruptcy, it is unlikely to be any more severe than being evicted from your home and having it sold at a foreclosure auction. Bankruptcy can be a way to help stop foreclosure, but it's important to consider your options and determine if bankruptcy is right for you. We're here to help. Contact our bankruptcy attorneys today for a free initial consultation. Source: MortgageLoan.com, "Study: Bankruptcy a Big Help in Saving Home from Foreclosure"